Receive notifications to events like these – straight to your inbox! April 26 & 27, 2019. 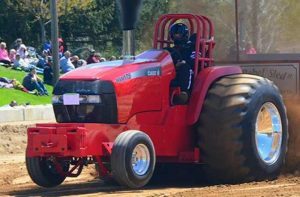 Carroll County 4-H & FFA Fair & Carroll County Agriculture Center will be hosting their 5th annual Buckwild Truck Tractor Pull. Fri. 4pm-11pm; Sat. Show 9am; Racing 1:30pm; Pulling 5:30pm. Experience a beautiful trail half marathon and support RVR’s mission at the same time!